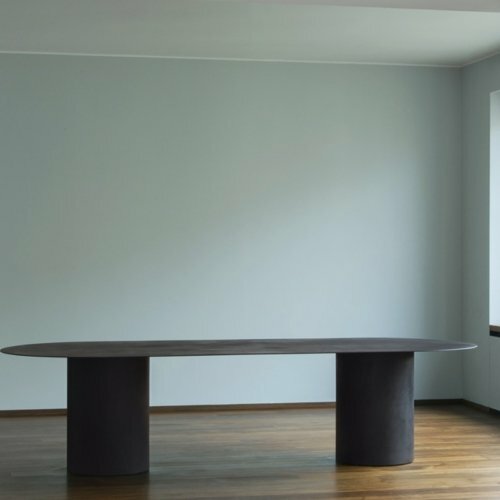 The core of the Equilibrium low table is represented by the transparency of its pure geometries, which allows to the central geometry of the connection to stand out, suspended in the middle. This configuration aims to make the structure disappear, thus highlighting the construction principle of the piece, in which the joint plays a major role both under a function and visual point of view. 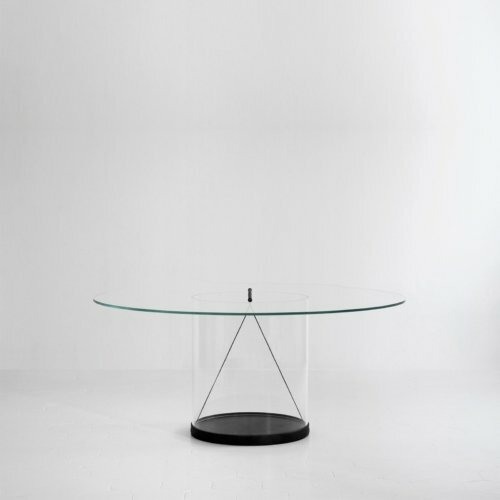 The top and the base of the table, both made out of transparent acrylic, are tighten to thanks to a 180° rotation of the central bronze stick. The subtle gesture increases the tension of the rope by twisting it around itself. A series of grooves ensure that each of the elements is centered and kept in the right position.